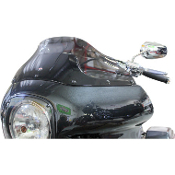 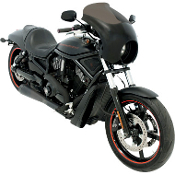 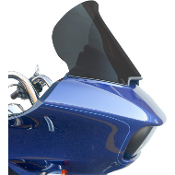 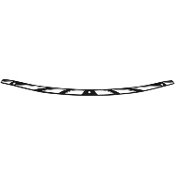 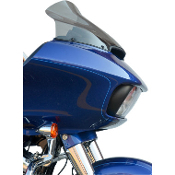 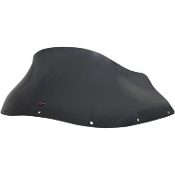 Windshields for 1996-2013 Harley Touring Models with "Batwing" fairing only! 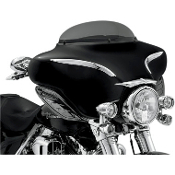 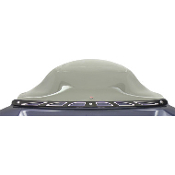 All of the great features of the original Flare windshield now available in versions for the increasingly popular Early FXRP models. 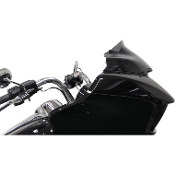 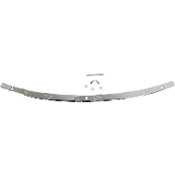 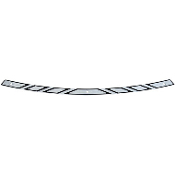 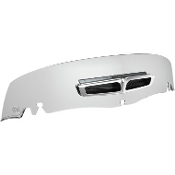 For 14-16 FLHT/FLHTK/FLHTCU/FLHX AND H-D FL TRIKE MODELS Replaces stock windshield trim piece to create a custom look Made from 6061 aluminum Mounting hardware and instructions included Made in the U.S.A. For 14-16 FLHT/FLHTK/FLHTCU/FLHX AND H-D FL TRIKE MODELS Replaces stock windshield trim piece to create a custom look Made from 6061 aluminum Mounting hardware and instructions included Made in the U.S.A.
For 96-13 FLHT/FLHTC/FLHTCU/FLHX AND H-D FL TRIKE MODELS Replaces stock windshield trim piece to create a custom look Made from 6061 aluminum Mounting hardware and instructions included Made in the U.S.A.
For 14-17 FLHT/FLHX AND H-D FL TRIKE MODELS Machined from billet aluminum and offered in chrome or black contrast Perfect accent for a new Flare™ Windshield or a stock windshield on a batwing style fairing Five styles to choose from Hardware and instructions included Made in the U.S.A.